I count on my favorite podcast, Genealogy Gems, to keep me up to date with family history news and technology. I listen to Lisa while driving or working at my desk and I get her weekly email newsletter updates. The databases I use for my genealogy research grows too fast for me to keep up with so I keep my eyes peeled for Illinois news. Lisa keeps me updated with new source additions at this link. Scrolling down to February 18th brought up the link to over 3.7 million records that have been added to the free index for Cook County, Illinois deaths at FamilySearch.org. If you don’t subscribe to a searchable database like Ancestry.com but you are researching your heritage, the Family Search website is a wonderful resource. It was at the Family Search website that I discovered a death record for Baby Girl Del Principe, Auntie Phyllis and mom’s younger sister. I knew that Bertha and Gilbert had a third daughter but did not have much information about her. My aunt told me that Bertha lost the baby when Bertha fell down some stairs. You can read more about Bertha and Gilbert at this blog post from 2010. Auntie Phyllis was born in 1927, my mother Corinne was born in 1931, and their sister was born 04 Jan 1938. Click here Family Search to view the source information from Family Search “Illinois, Cook County Deaths, 1878-1994”. The actual record has not yet been scanned to FamilySearch.org. I wanted to see if Ancestry.com had scanned the record. They had indexed the record but had not scanned it. Click here Ancestry.com and you can see that Ancestry included different source information than Family Search did. The family’s address was not included, but I found it interesting that the baby’s body was released to the Presbyterian hospital. I just assumed that Bertha was also Catholic but perhaps she was Presbyterian. Auntie Phyllis would have been 10 and my mother almost 7 when Bertha was carrying this baby. What a devastating loss for my family. I’m so appreciative that we have access to these records. Having actual birth records sheds new light on this ancestor for me. It is common knowledge that some of Abby’s favorite foods are pizza and pasta. Her Italian heritage is very strong! I enjoy cooking, and Abby has a developed a love for preparing meals as well. 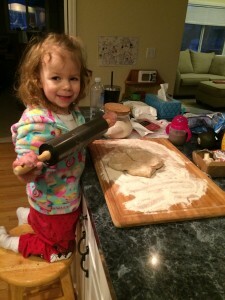 Recently, Abby and I cooked a pizza from scratch and she had so much fun playing such a big role in the preparation of our meal. She was also eager to eat some of her least favorite foods (mushrooms in particular). getting to prepare my very own mini pizza for dinner. 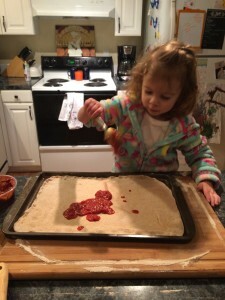 As a full-time working mom, I often feel like I miss out on certain opportunities with Abby to build memories; so it is times like this that I am so grateful for these experiences with Abby, even if it is just making dinner 😉 Maybe in 30 years, she’ll be making pizza with her toddler. I know Great-great-great-grandma Elvira would appreciate it! Early Days Living Down East with John Del Principe Jr.
Introduction by Phyllis. I have recently begun corresponding with Andrew Del Principe. 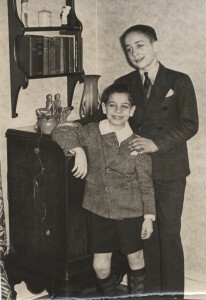 Andrew’s grandfather was Serafino (John) Amideo Del Principe (1897-1972), my grandfather Gilbert’s brother. 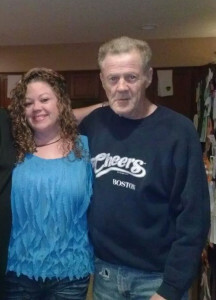 Andrew’s father is John Anthony, some of you know him affectionately as Bubbles. Bubbles has 9 children and 9 grandchildren. Bubble’s given name on his birth certificate was John Anthony Sheehan. 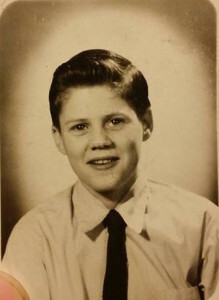 John was born at Walther Memorial Hospital in Chicago on 05 Feb 1942. Click here to see his birth certificate, then click to enlarge it. John was indeed a lucky baby. His birth mother had to give him up for adoption because she was on public assistance and was unable to care for him. 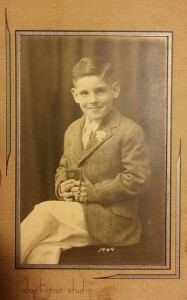 This little boy was so fortunate that John and Jeanette welcomed him into their home to join half-sisters Margie (born in 1919) and Leona (born in 1920). Check out the photo above. It looks like John Jr’s parents dressed him in his best, snappiest suit. I can’t tell what is pinned to his lapel, perhaps a flower. He is clutching his Rosary and what I assume is his Bible. Click here to view John Jr’s Baptism record from Holy Trinity Church on 12 Apr 1942. Click here to view Bubbles school promotion record. He was 16 years old. If you click to enlarge and read the details you might assume, as I did, that Bubbles preferred to play hooky rather than attend school. He was present 64 days, absent 36 days, and tardy 21 times. I don’t know how his Uncles let Bubbles get away with that as mom told me that “The Uncles” watched her and my Auntie Phyllis like hawks! The document lists their home address at 2244 W Harrison St. My brother Tom has many fond memories of Uncle John and his family. They lived on the 3rd floor and our grandfather Gilbert and our parents lived on the 2nd floor until we moved to Villa Park. Tom also remembers an empty lot next door where Bubbles used to park his huge 18-wheeler truck trailers. Across the alley from Gilbert and John were the apartments on Bell Ave where more relatives lived (of course). Thank you Andrew for the wonderful photos and documents that you have shared with us. 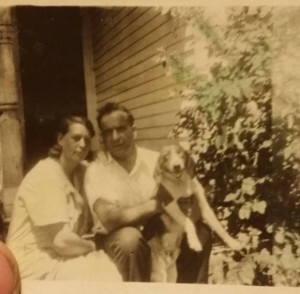 To read more about Sarafino (John) Del Principe’s family please click his name in the Categories box on the right side of the website. Thank you to my brother Rob for the memories he has shared below. My earliest memories of John, who lived in the same tenement as my family, were that he was a “care free spirit.” He might have been a hippy in the Sixties like me and my brothers, but he was a whole generation ahead of us. When I was six, he was already starting high school I think. But I could be wrong. Time was slower then, and leaves bigger gaps between memories. But I was lucky to talk to John a few years ago when I stumbled on his phone number, where he lived in Southern Illinois. We had several good phone talks and he related some stories about living in the old neighborhood that rounded up a lot of memories I thought I’d put out to pasture. For one thing, John was nimble with hand tools. I first took note of that when I would watch him work with his Lionel Train set. He and his father, (Uncle John was my grandfather’s Gilbert’s older brother) crafted a train layout that could be raised on pulleys so it could be stored until ready to use. This was in Uncle John’s workshop in the back of the Del Principe accordion store, a huge expanse of space that allowed for John Jr.’s immense train layout. I’d watch in wonder as he could operate three lines at once, controlling track and trains with electronic switches. I’ve no doubt that’s where my love of model railroading came from. It helped that my father, Robert Thomas Winike, loved trains too – and I just bet they worked on his layout together, although I forgot to ask. When I spoke with John on the phone he told me that he had great love and affection for my father, who was kind of like an older brother. What I didn’t know was that my father would allow John to wash his new Ford after getting off work. 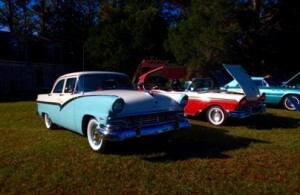 My father and his best friend, George Russo (who was also my accordion teacher) owned matching 1957 Ford Fairlanes. John would drive my father’s car around our block and park it in the garage behind the Harrison Street tenement. He’d set up a little car washing and detailing operation in there. Once my father’s Fairlane was clean and sparkling, John would do the same with George’s. Then he’d park them side-by-each in the cinder parking lot next door to our building, noses protruding over the sidewalk. John told me he remembered feeling proud when he’d got them both clean and gleaming, my father and George bragging about the job he’d done. Another thing I remember about living Down East (what we called the old neighborhood after we’d moved out to the Western suburbs) was John owned and repaired Vespa motor scooters. Italian motor scooters were the rage in 1955 and 1956, thanks to movies that featured beatniks tooling around Europe on them. They were compact and portable, but still gave you the “wind-in-your-face” sensations even though you weren’t going very fast. I got confident to jump off before he’d come to a stop – that felt daring! But mostly it was the freedom that suited him – he’d pull right up on the sidewalk in front of the accordion store with all the old Italians crabbing at him, then rev up the engine and peel out. Compared to all the old-timers in our family’s two tenements on Harrison Street and Bell Avenue, John Jr. was like a Marlon Brando, James Dean kind of young guy. Outspoken, rebellious, but a hard laborer. Many Sundays spent helping my grandfather and Uncle John building the “round house” which was going to be a retirement home in the country, I remember John Jr. on the roof hauling materials up a tall ladder. He and I dug drainage ditches out there, in some very rocky and hardscrabble ground. We complained but did the work. At lunchtime we’d all stop for homemade fried chicken, prepared by John’s mom, Jeanette. Everyone laughed at my younger brother Steve, who they called “The Chicken Eater,” because he ate so much. Those were good times but long forgotten until I talked to John about them again. 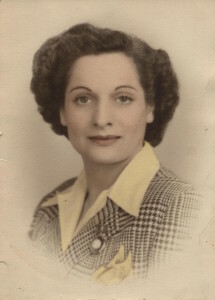 Allen Adezio’s mother was Carmella Leone and his grandmother was Speranza Ciolli. 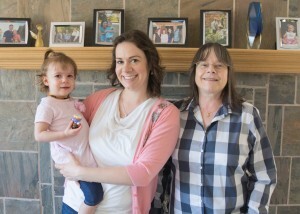 Allen’s grandmother and my great grandmother Elvira were sisters. This makes Allen my 2nd cousin 1x removed. Allen’s wife is Marie. 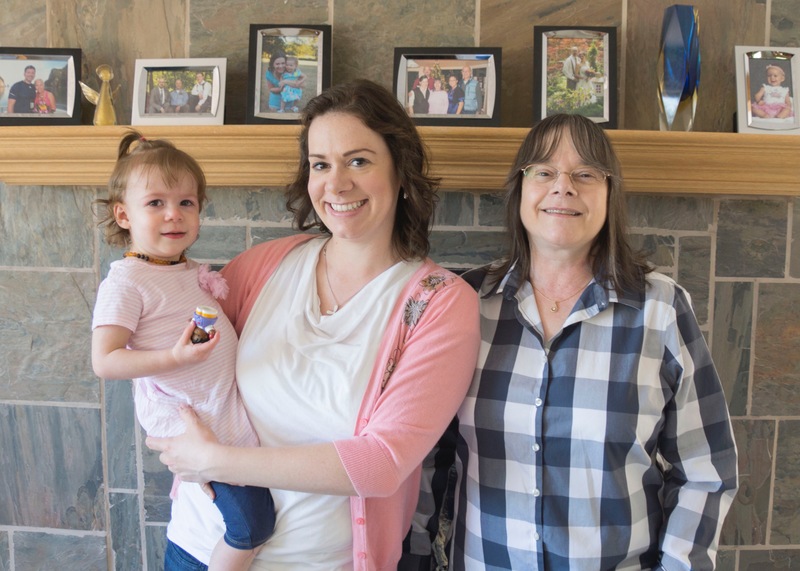 Marie and I share a passion for genealogy as well as frustration that we never have enough time for research. 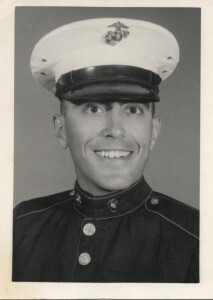 The photo to the left is Allen, he was in the Marine Corp. Allen enlisted 16 Sep 1957 and was sent to Camp Pendleton in California where he attended boot camp from 01 Oct 1957 to 23 Dec 1957. On 31 Mar 1958 he entered the 2nd Infantry Training Regiment and went into the reserves. 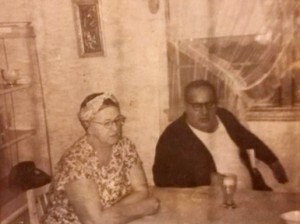 Esperanza (Mary) Ciolli is my 2nd great aunt. She was born 06 Feb 1877 in Pescasseroli, Italy and died 15 July 1940 in Chicago. 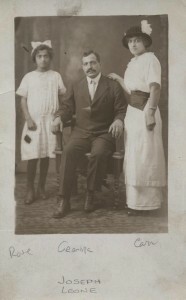 Speranza and Joseph Leone (1875-1926) had the following daughters; Carmella (Allen’s mother born in 1897), Lillian, Mary, Rose, Anne, Meri, Josephine, and Gladys. Ancestry records reflect that Carmella, Lillian, Mary, and Rose were born in Boston, Massachusetts. 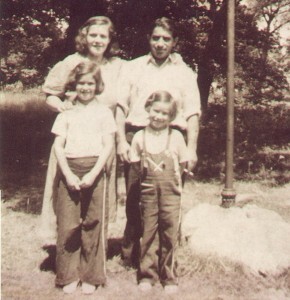 Below is a photo of Rose, Carmella and their father Joseph. The photo is not dated. It was taken at a studio at 414 S. Halsted St. You can click on the photos to enlarge them. 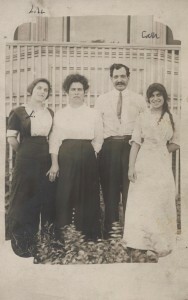 The photo to the right is of Lillian, Esperanza & her husband Joseph, and Carmella. The photo is date 16 Jul 1913. Carmella is Allen’s mother. These photos are wonderful, they really capture the clothing styles of their time. I love Carmella’s hat. Rose has a beautiful bow in her hair and it looks like she’s holding a purse. If you enlarge the photo of Joseph sitting down, you can see the intricate carpentry work that went into building his chair. Below is a photo of Meri. She is also Esperanza and Joseph’s daughter. Meri and Sam Mazzie had two children, Richard and Kenneth (photo on the right). Thank you for sharing these wonderful photos Marie! The right side of the following pdf document, Elvira’s Executor Documentation, addresses Pietro’s will recorded in Cook County, Chicago. It is digitized at Ancestry.com. There are three parts to the document: Executor’s Bond, Executor’s Oath, and Letters Testamentary. Click on this link to read more about the three parts. The pdf source information is from Illinois, Wills and Probate Records, 1772-1999. The source citation is from Executor’s Bonds and Letters, 1879-1923; Author: Illinois. 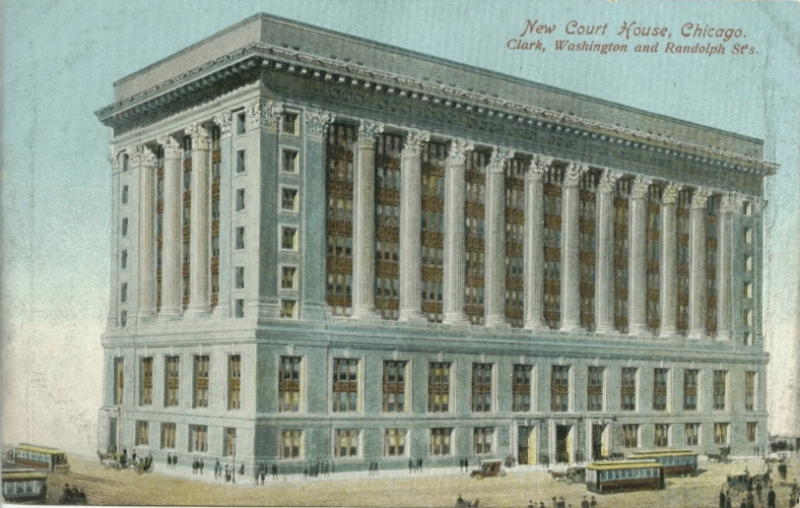 Probate Court (Cook County). The bond amount was $500.00. Elvira may have been required to pay 10% of the bond and once she had executed Pietro’s will she should have been refunded her money. This task must have seemed completely overwhelming to Elvira as Auntie Phyllis told me that Elvira spoke and understood very little English. I’m sure she relied heavily on her sons to maneuver her way through the daunting legal process of executing Pietro’s will. Note that the Executor’s Bond is dated 21 Aug 1922 and is stamped with the name Henry Horner Probate Judge of Cook County, Illinois. Henry went on to become Illinois’ thirtieth governor in 1933.